We helped our client give its employees and their families to a special treat, by organising a premiere private screening of the new Disney movie at the Odeon, Shaftesbury Avenue. After the screening, the children and their parents were lead into an event space which had been transformed into the interior of the Beast’s Castle with acres of cerise silk, paintings, ornaments and lighting. This magical scene drew gasps from the children - and some of the adults! We sourced “Mrs Potts” and “Chip” tableware, golden “Lumiere” candelabras, piles of old fairytale books and French antique furniture to create an authentic Beauty and the Beast ambience. 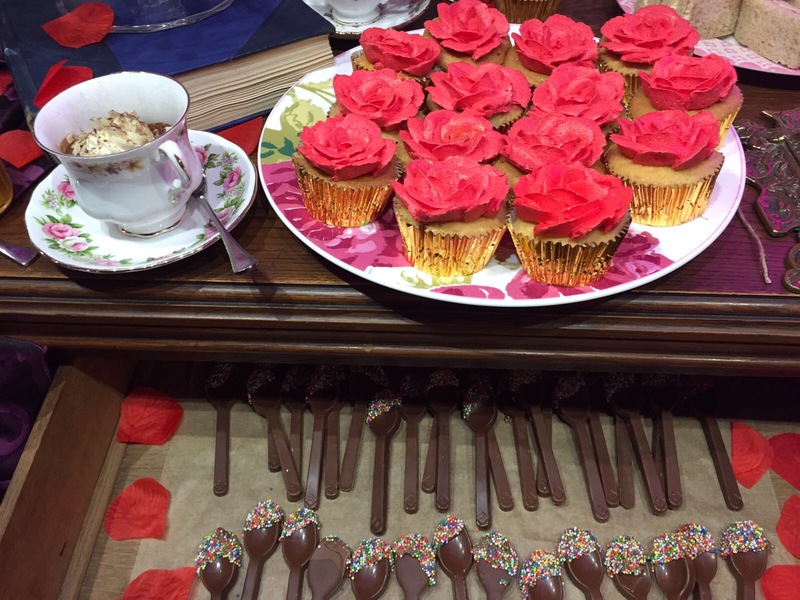 A single red rose in a glass case, lit with fairy lights, formed a poignant centre piece reflecting a central theme of the movie, and this rose theme was carried across into tableware and cake and icing decorations. 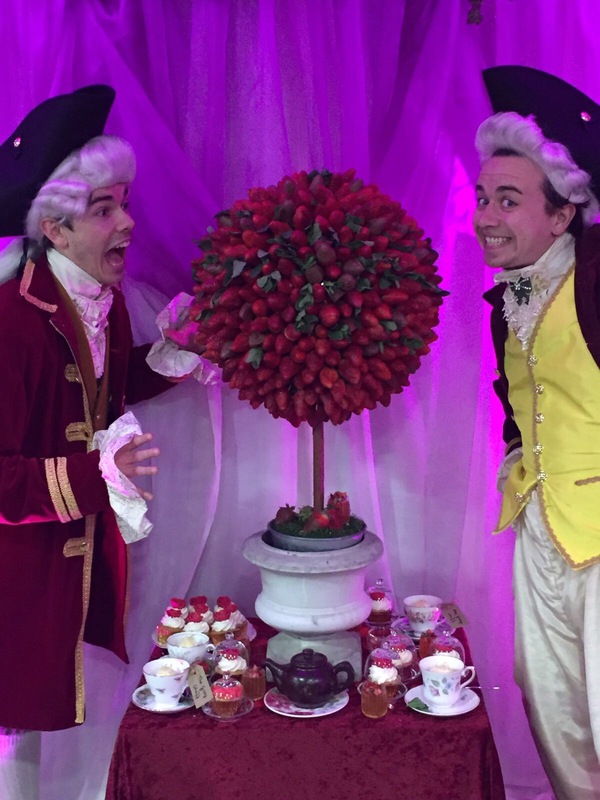 Our pastry chefs went to town creating a stunning array of cakes, pastries, jellies, mousses and chocolates using themes and ideas from the film. A “Strawberry Tree” formed a focal point while chocolate spoons hidden in draws provided a little surprise for curious children!